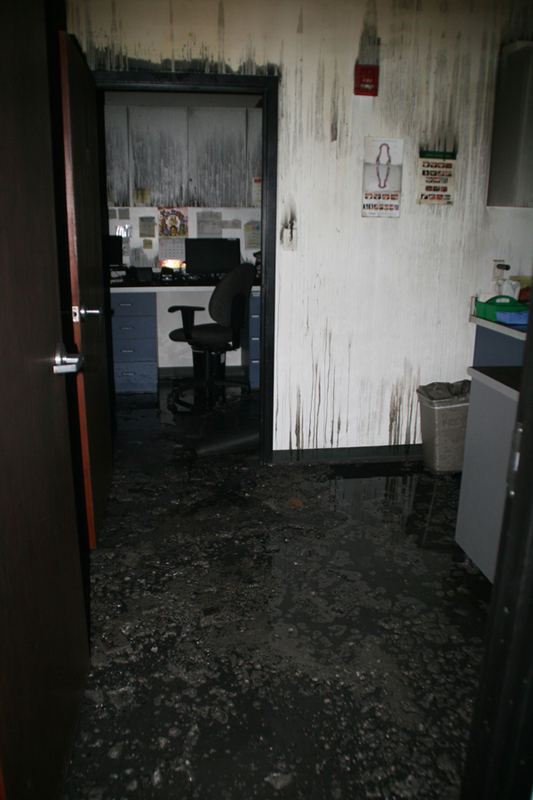 Fire At Animal Coalition of Tampa. 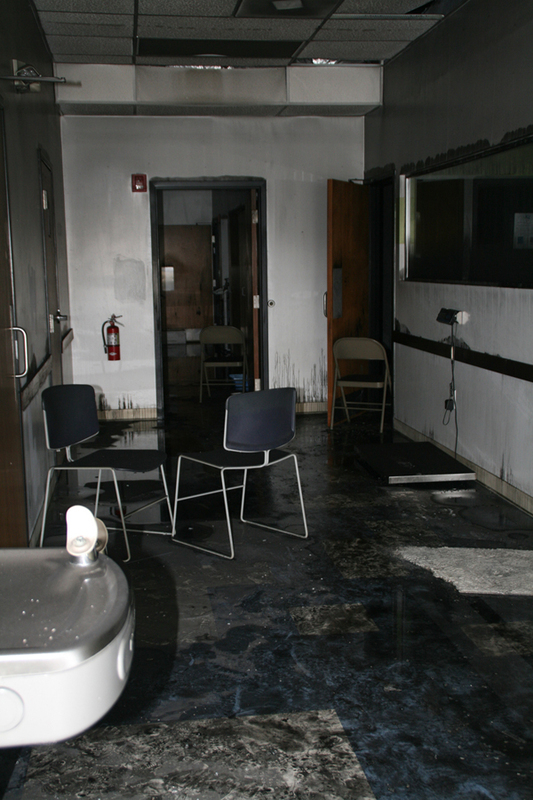 The lobby of Animal Coalition of Tampa, damaged by fire in an early morning fire, Saturday, April 19, 2014. Photography by Anna Cooke for The New Barker. Jazz, Boy and Mama Kitty lost their lives during an early morning fire that heavily damaged the building that houses Animal Coalition of Tampa (ACT). Arson is suspected. 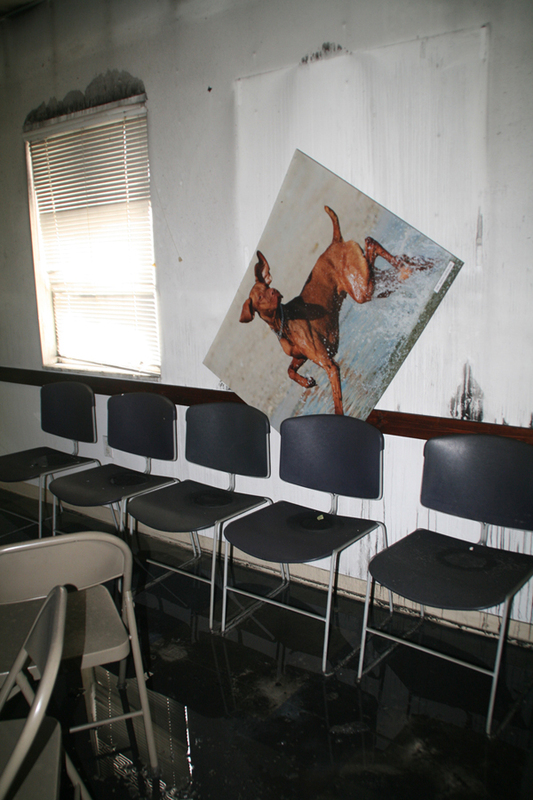 The three cats were the facility’s very own longtime mascots, official greeters, and stress relievers. Less than two weeks ago, with the help of the University of Tampa’s film department, a video was created to celebrate the clinic’s accomplishment of performing 80,000 spay/neuter surgeries in eight years. It was posted to ACT’s Facebook page just after their recently successful fundraising event, Spay-ghetti and No Balls. 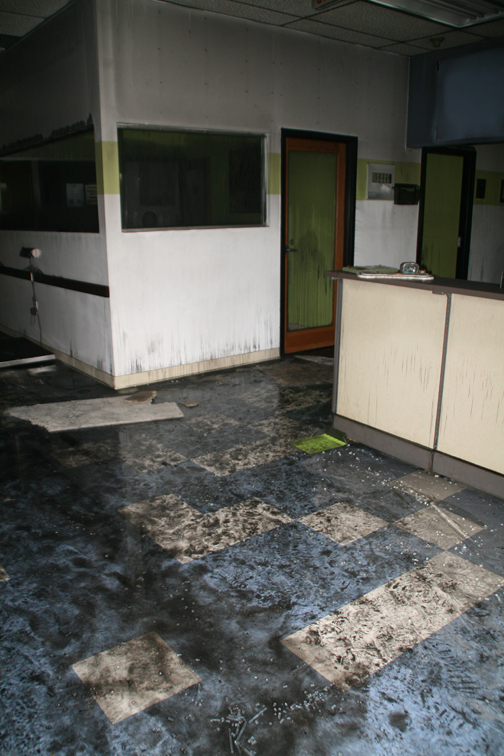 In the film, employees and volunteers are dancing throughout the bright halls of the clinic. The song everyone is dancing to is Happy, by Pharrell Williams. This morning, the scene at the clinic was anything but, as shocked employees, unaware of what had happened, started showing up for work. Outside, the sadness was as palpable as the soot and water inside. 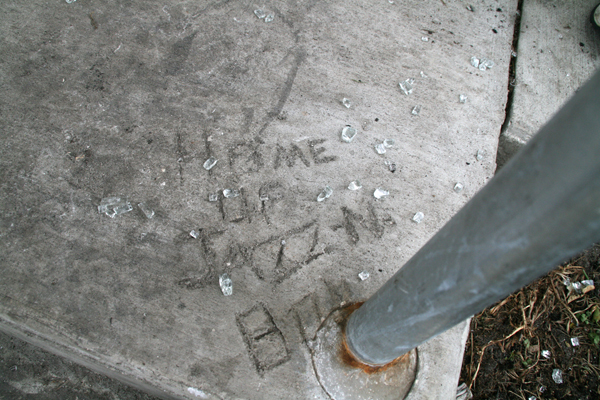 On the minds of everyone, especially Pam Duval, the organization’s comptroller, were Jazz, Boy and Mama. One of the first to arrive as fire engulfed the building, she told a firefighter about the cats and that they might be found in the administrative area. Moments later, firefighters brought her all three cats, wrapped in blankets. 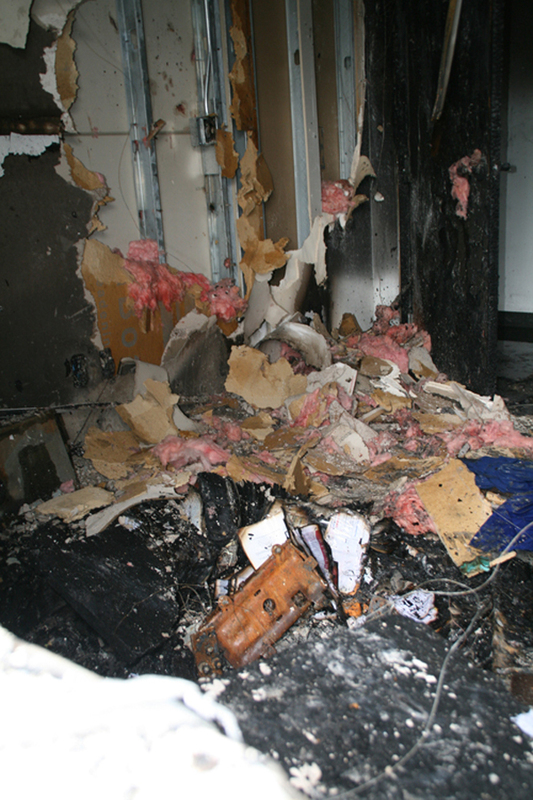 Smoke inhalation was the cause of death. Frank Hamilton, co-founder of the clinic, was still in shock as well. Eyes red, lips trembling, he was making every attempt to keep it together. “Right now, I’m just trying to figure out what our next plan of action will be,” he said. HIs wife, Linda, who is the clinic’s executive director, remained at home. Already devastated by the loss of the three cats, everyone knew the destruction would be too much for her to see at the moment. For now, the clinic will remain closed. 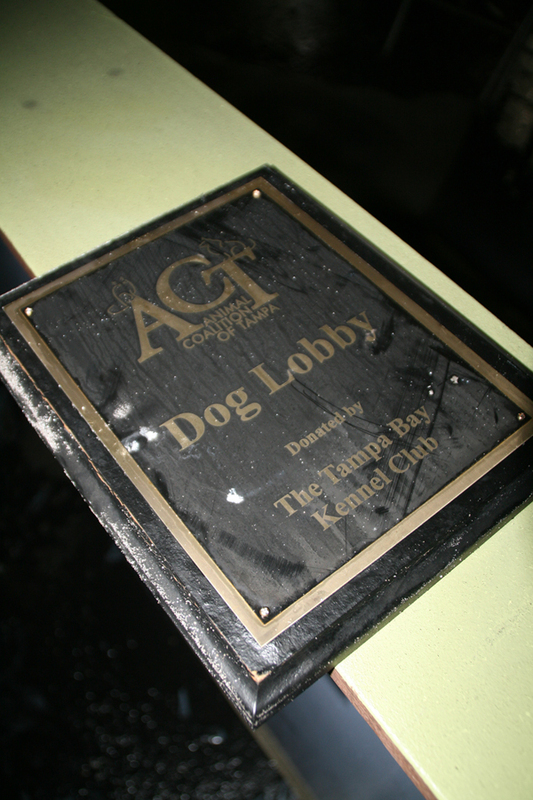 For updates, visit their Facebook page or their website – http://www.ACTampa.org. 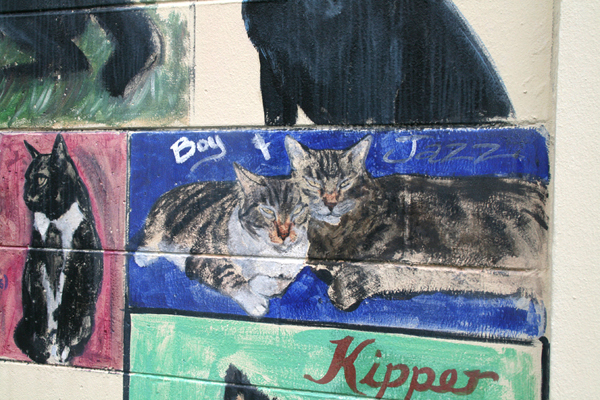 Buzz and Jazz painted on an exterior wall of ACT’s clinic in Tampa by mural artist, Anna Hamilton. This is heartbreaking. I hadn’t heard. Thank you for keeping us informed. I will never understand such cruelty. Linda and Frank are strong animal advocates. I believe they will overcome this, and re-open the facility that serves their community very soon, especially with people like you. Indescribably sad. There is a special place in Hades that is reserved for the person who started this fire. I was not familiar with this organization as I’m in Pinellas, but I’ll be sending a check to aid in recovery. Previous Previous post: Victory, Victoria. Next Next post: Cover of Magazine Fetch’s $5,000 Winning Bid.